Red, Green and Blue. site-specific installation at Vancouver Art Gallery Offsite, 2016. 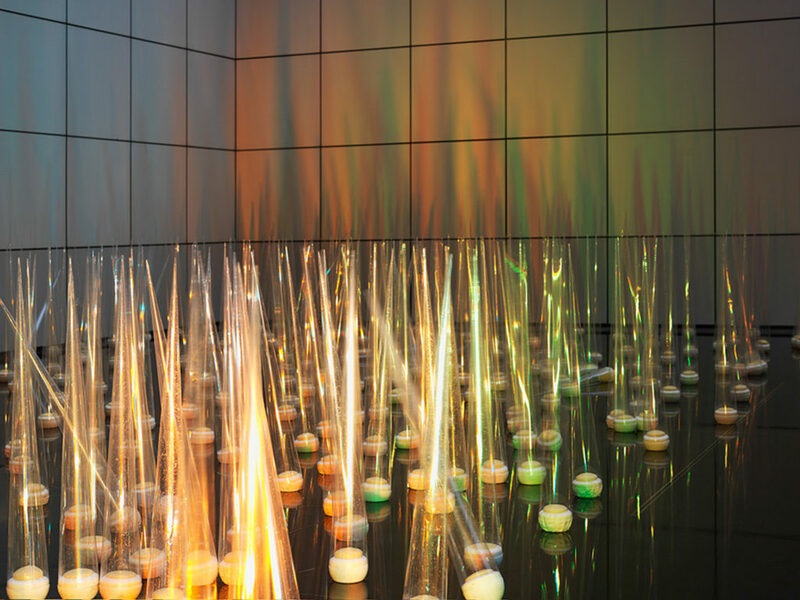 Red, Green and Blue is a sculptural installation that uses filtered light to animate nature. Drawing on broad references of horizon lines and landscape art, Lee enables passers-by to visualize the wind. Building on a sense of theatricality, Lee’s installation acts as an elaborate set comprised of three-dimensional objects that cast larger-than-life shadows against an enormous backdrop. Red, Green and Blue draws viewers into the intersections of artifice and nature within an abundant field of transparent cones fabricated from sheets of hand-folded plastic film. 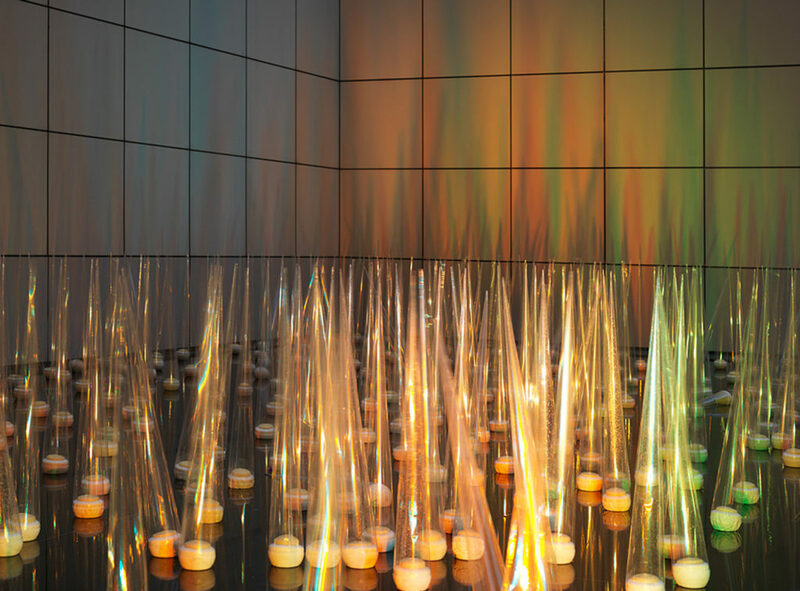 It is both painting and sculpture, using light filtered through red, green and blue lighting gels to project an immersive field of coloured grass-like forms on the architecture of Offsite. Although an oasis literally refers to the greenery within a desert, it also describes a peaceful location or imagined place where one might escape the rigours of everyday life. Lee’s oasis unfolds into an array of colourful and contemplative possibilities that break up the monotony of grey surroundings.